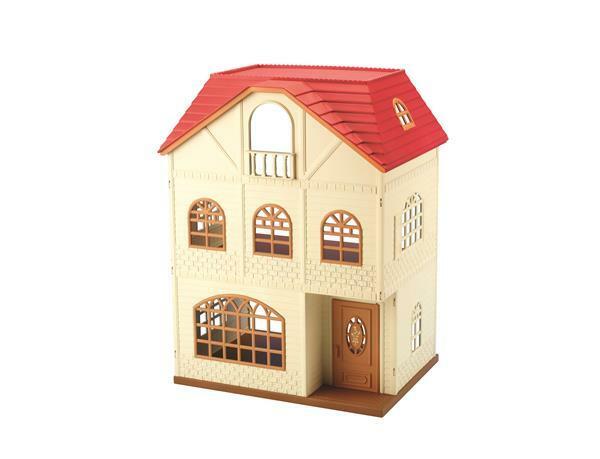 Cedar Terrace is townhouse style property with three floors. The backless layout allows easy access to the various rooms. 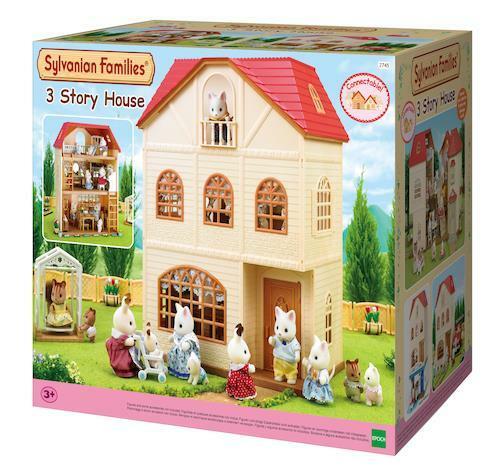 With a traditional living room space on the ground floor, a large room on the middle floor and a converted loft- style space at the top of the house, there’s plenty of room for Sylvanian Families furniture in this product. As with Cozy Cottage and City House with Lights, this property comes with a makeshift reversible floor panel. Simply flipping over one of the floor dividers can create an extra garden space. 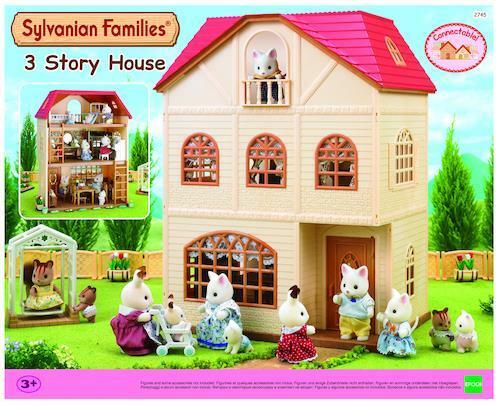 Cedar Terrace also comes with two ladders to help your Sylvanian Villagens hop between floors.